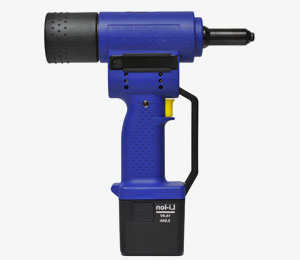 14.v cordless riveter for easy installation of rivets up to 6.4mm diameter for blind rivets and 7.4mm for locking rivets. Battery charger to suit CORDLESS RIVETER BATTERY 8.5 and CORDLESS RIVETER BATTERY 13. CORDLESS RIVETER BATTERY 8.5 and CORDLESS RIVETER BATTERY 13. Cordless riveter battery to suit the CR-50 CORDLESS-RIVETER. Cordless riveter battery to suit the CR-64 CORDLESS-RIVETER.